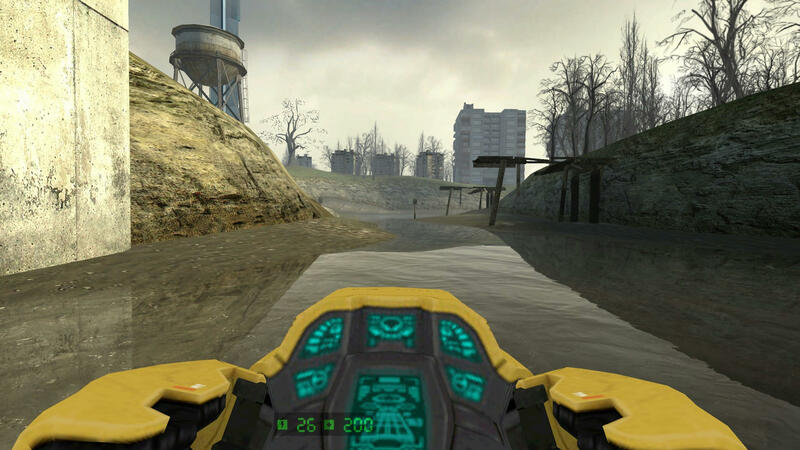 A hi-tech hover vehicle to traverse polluted water of dystopian future. 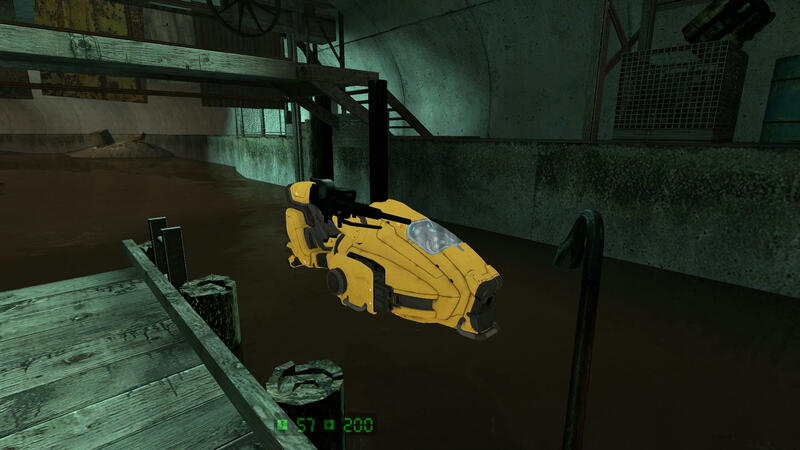 There are not many vehicle skins for Half-Life 2 and most of them are just reskins. So I became a little bit bored with original airboat and decided to replace it with something new. 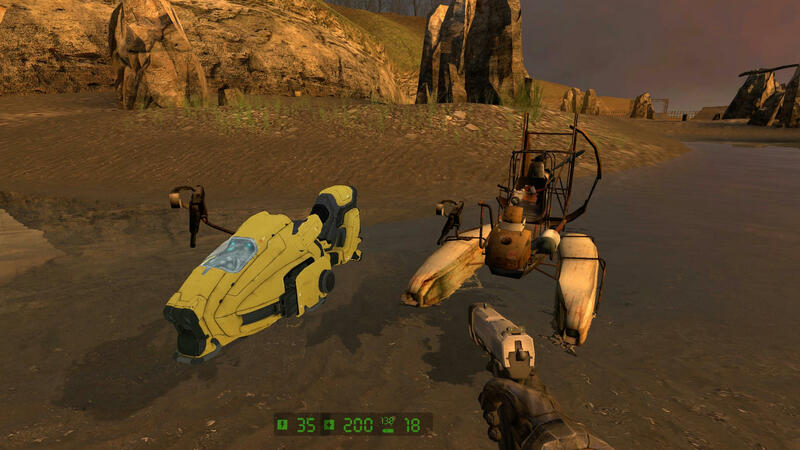 Originaly I wanted to port SligWolfs hovercraft for Garry's mod to Smod, since it seemed as a good replacement for rusty airboat, but there were problems. 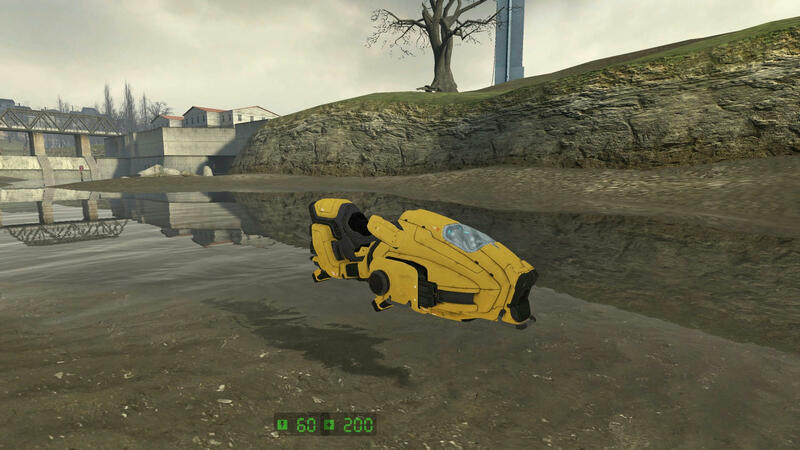 For some odd reason, the compiled model had water trails(you leave them behind while driving) being created in the middle of the model, making it look like the hovercraft had a hull breach with water in driver seat. The strange thing is this problem occured even with original airboat, even if it was compiled with Valve provided smd files in SDK Maybe it was a fault of my Source Engine 2006 model compiler. 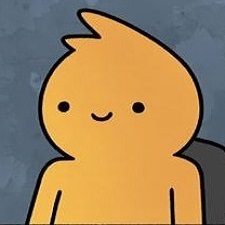 Anyway, I couldn't deal with that, and so began my attempts to fix that. So here it is, a hoverbike for Smod Now, there are two issues you should know before trying it out. The first are textures - the model was made for Goldsource so they are lowpoly and of low resolution. I'm a novice in materials, thus I can't upgrade them good, sorry The second is that sometimes after a water landing the bike would tilt in side and drive like that. This can be fixed after driving to the ground. 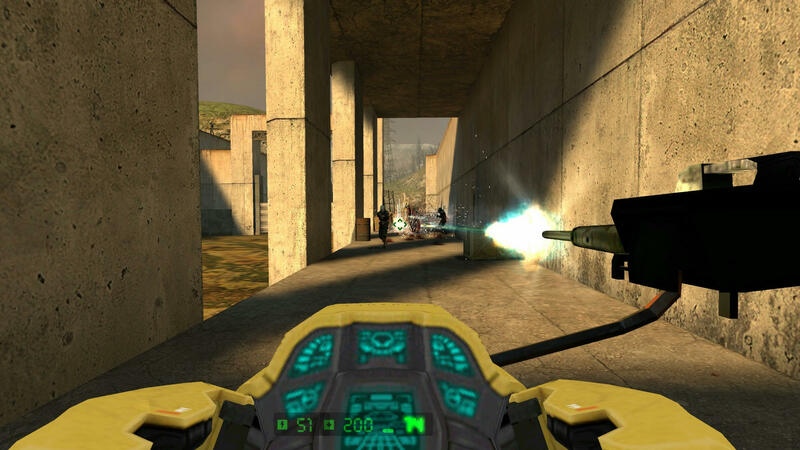 It has a properly set mount gun, which you can see on screenshots below. Also there are two identical models of bike, one as a replacement for airboat and other as a separate model in case you want to put it in your map/mapadd. Importing to Half-Life 2/S-Mod and editing by me. Nice replacement, there indeed not many new models for vehicles.